The building in the background is Ghirardelli & Company. 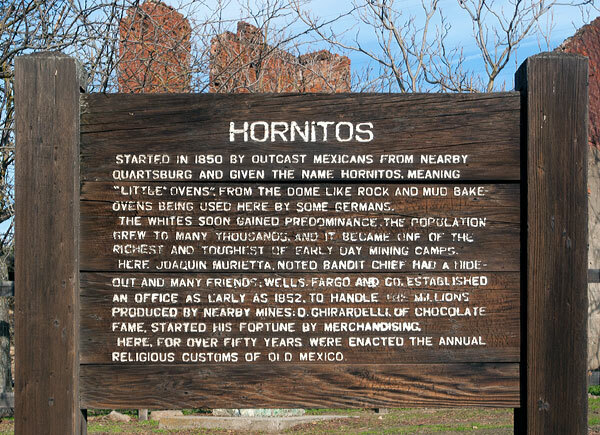 Started in 1850 by outcast Mexicans from nearby Quartzburg and given the name Hornitos, meaning "little ovens", from the dome like rock and mud bake-ovens being used here by some Germans. The whites soon gained predominance, the population grew to many thousands, and it became one of the richest and toughest of early mining camps. Here Juaquin Murietta noted bandit chief had a hide-out and many friends. Wells Fargo and Co. established an office as early as 1852 to handle the millions produced by nearby mines. D. Ghirardelli of chocolate fame started his fortune by merchandising here. For over fifty years were enacted the annual religious customs of Old Mexico. 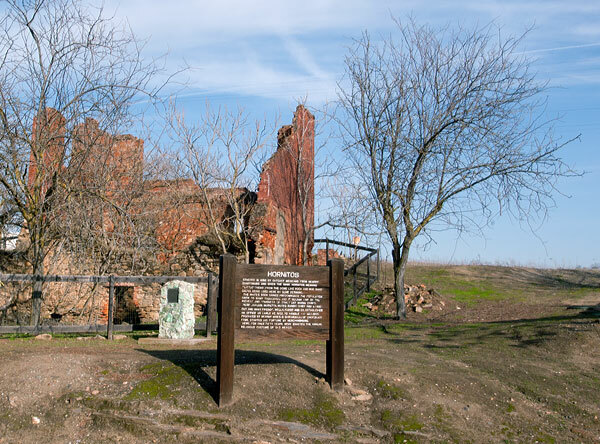 Welcome to one of the most famous ghost towns of the 1800's. Hornitos is Spanish for "little ovens". It got its name from the above ground graves that were shaped like little cooking ovens used in Mexico. During this time, population was about 15,000 and had the first Wells Fargo office in the county. $40,000 in gold was shipped to the mint daily. 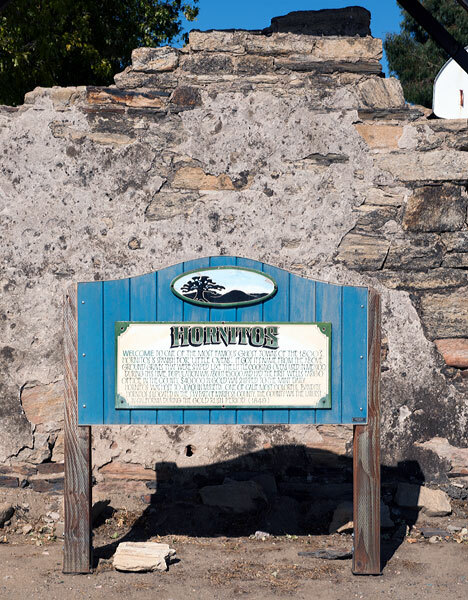 Hornitos was host to Joaquin Murietta, one of Calif. most colorful bandits. Hornitos is located in the S.W. part of Mariposa County. The county was the largest in California during the Gold Rush period (1849). 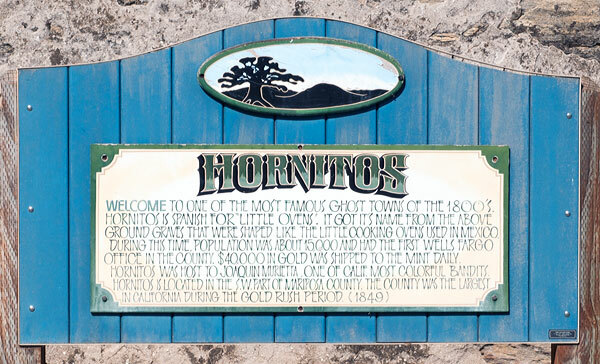 Although a wooden maker welcomed us to Hornitos in 2012 and a newer marker welcomed us in 2012, we were unable to locate a California commemorative plaque.